Welcome to Chilli Pepper Charters offering relaxed afternoon and evening sunset boat trips around the coastline of San Antonio, Ibiza. Experience some of the best beaches and swimming areas the island has to offer. Chill out and relax on our traditional Ibicencan boat and enjoy activities such as sight-seeing, dolphin watching, swimming, snorkelling, cliff jumping and sunbathing all while listening to some great reggae & rock music. 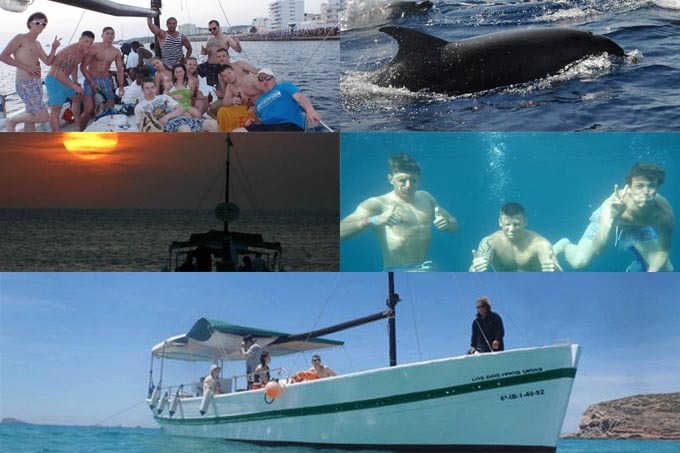 Everyone is welcome on Chilli Pepper Charters – individuals, couples, families and groups. Choose between a semi-private three hour cruise, a three and a half hour sunset cruise or alternatively organise a private charter for any duration with all of your friends (maximum twenty people). To find out more about the different trips we are able to offer click here. Make unforgettable holiday memories aboard Chilli Pepper Charters. On board Chilli Pepper Charters cold drinks are provided FREE including beer, rose wine, soft drinks and water. Snorkels, masks, floating woggles and life jackets are available as required and we have on board toilet facilities. You may bring food aboard with you or for private charters we can arrange on your behalf. Please let us know in advance if you wish us to arrange food. Our boat has also featured on MTV when Years and Years were interviewed by Laura Whitmore ahead of them headlining at the Ibiza Rocks Hotel in June 2015. 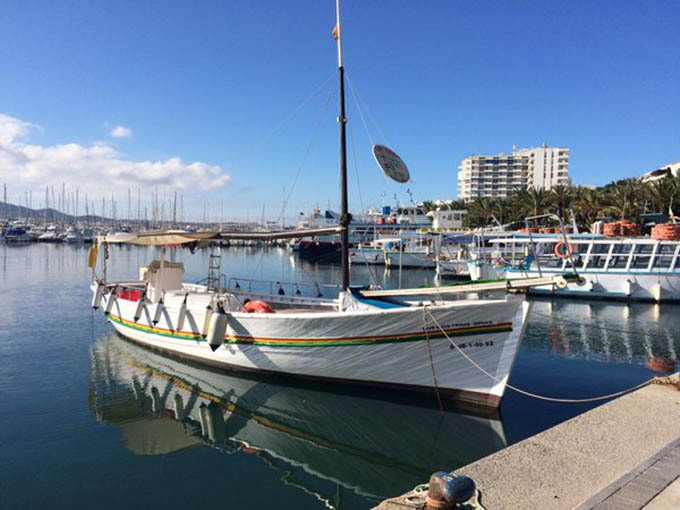 We are a local family business who have been running boat trips and boat charters for over twenty years from the San Antonio waterfront on the beautiful island of Ibiza. Join us for relaxing excursions visiting beautiful areas of our island paradise, allowing time for swimming, snorkelling, cliff jumping, the sunset or just sit back relax and enjoy the view with a cold drink in hand. We are located on the San Antonio Waterfront close to the famous egg, so stop by and say hello.